We can help with any problems you may be having with your drainage system, such as blocked drains. Drains are an important element to any plumbing system. Without proper drainage your home or business could be in serious danger. Cameron is an expert at locating and diagnosing the cause of the blockage. 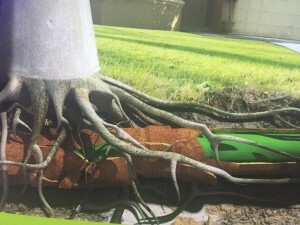 Drain & pipe blockages are often caused by tree root intrusion, the disposal of un-flushable objects in drains, and the movement of drains caused by ground movement. CRG Plumbing have the right equipment to solve your every drainage problem. We are fully trained to use all the necessary equipment required to clear sewer and storm water drains. The drain machine clears blocked sewer pipes and storm water pipes. It is particularly proficient in clearing tree roots from drainage systems. The portable water jetter is a high pressure machine water machine used in residential, commercial and industrial applications. 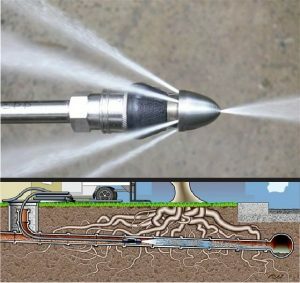 Its hose blasts through sludge, soap, grease and sediment blockages and tree roots and foreign objects stuck in the pipes. 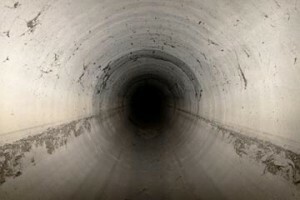 Your drainage problem may not be visible to the naked eye and may require the use of the drain camera to identify the source of the problem, from collapsed drains to root penetration. 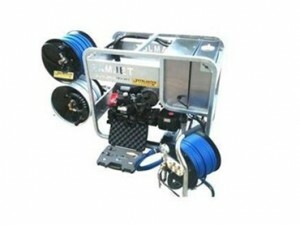 The drain camera is often used in conjunction with the jetter to first detect the blockage and then clear it. Call Cameron now on 0438 517 552 for all your blocked drain or drainage questions or requirements.